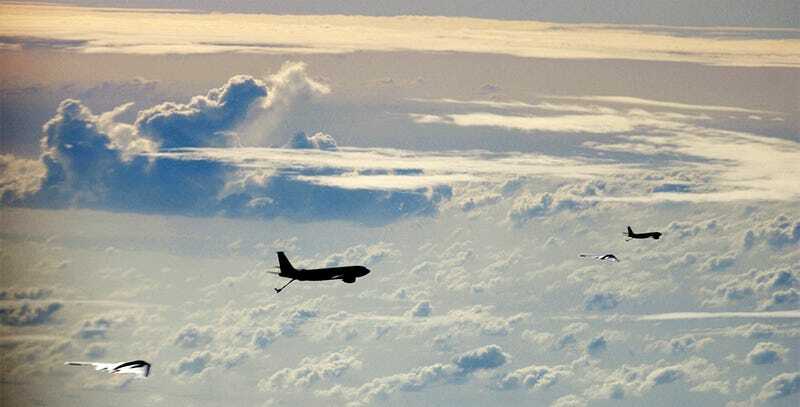 An extraordinary photo of two B-2 Spirit refueling simultaneously from two KC-135 Stratotankers. And if that's not cool enough for you, here are two more cool photos of the world's most advanced stealth bomber (that we know of.) One solo, one flying with two F-22 Raptor fighters over Guam. Top image was taken during Operation Iraqi Freedom, March 21, 2003.